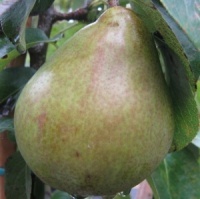 Beurre Hardy is an excellent autumn pear with medium to large fruit russeted greenish-yellow. Very juicy, sweet and richly aromatic flesh. A dessert variety with a distinctive flavour. Produces fruits with a fine, melting, scented flesh. An ancient variety but still one of the best traditional cooking pears Fruit large, obovate; skin thick, green, rough, nearly covered with dark russet. Black Worcester is a reliable cropper. Old French baking pear with flesh turning pink when cooked. 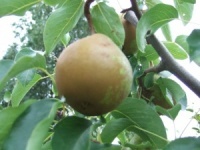 Fruits are pale yellow with a pink flush with Occasional russet patches. Catillac fruits are very large and late. 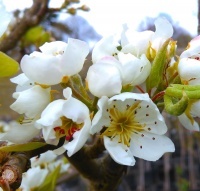 A popular dessert pear with a fine flavour that was introduced from France in 1849. Large and roundish fruit with rich, tender flesh and a delectible flavour that melts in your mouth.